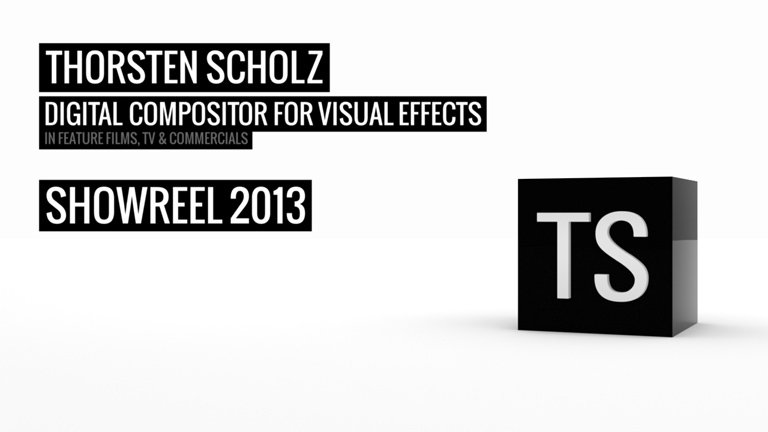 To get an impression of my latest work as a digital compositor, have a look at my current digital compositing showreel. The showreel is also available in HD 720p. For more detailed information about individual shots and the used software, download the shotbreakdown. Peter Rudenko – "Night Palette" from the album "15 Etudes"
Makoto Masui – "EPS 2" from the album "EPV 102 Silence+"
Copyright © 2014 Thorsten Scholz // All images are copyrighted and owned by the respective client or studio.